In addition to practicing Letting Go, I’m also a longtime student of, A Course in Miracles. It’s a challenging and very powerful method of letting go through releasing the ego. This year, I decided to delve into the daily workbook lessons beginning January 1st. I launched the course with a weekly, study buddy. It was going well. 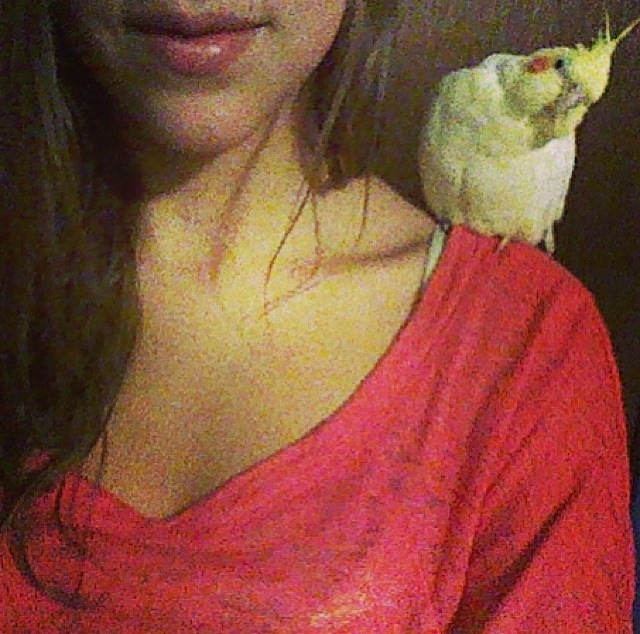 Then our cockatiel, Buttercup, died suddenly. I was on lesson 36, My holiness envelops everything I see. She fell ill that afternoon and became lethargic. We couldn’t get her to eat or drink. As the evening progressed she became weaker. My girls had gone out (reluctantly) for a planned overnight visit and so it was just me and our pet. I held her in my hands and spoke to her gently. I remember thinking how beautiful she looked. How perfect and sweet. As she laboured to breathe, I told her how much I appreciated her and thanked her for being such a wonderful pet. Tears rolling down my face, I whispered how much I loved her. “We all love you,” I wanted her to know. Then she took her last breath and left her body. The next morning my girls returned home. They had looks of foreboding as they came through the door to hear the sad news. This sweet pet had joined our family during a very stressful time 9 years ago. She lifted our spirits with her wings and cheerful song. Intense feelings of loss consumed our home for several days. In the spirit of letting go, we all had permission to cry, move slowly, sit and just stare or go outside and be alone. At times the girls and I piled together on the couch and talked and cried. If you would like to learn how I’ve come to explain the death of a pet or animal to my children click here. As the course promised, holiness enveloped. To be clear, this is not the religious version of holiness, but the everyday kind when people live in non-resistance of what is. Grief then becomes the catalyst state for healing.